We did another marathon all day game drive today. It was fun but tiring. And a little disappointing because we didn’t see any lions or leopards. It appears to us that there’s little communication between the various drivers, so that finding shy creatures like lions or leopards is more luck than anything else. If we ran the place, things would be different. Because we clearly know better. Of course. On with the photos. 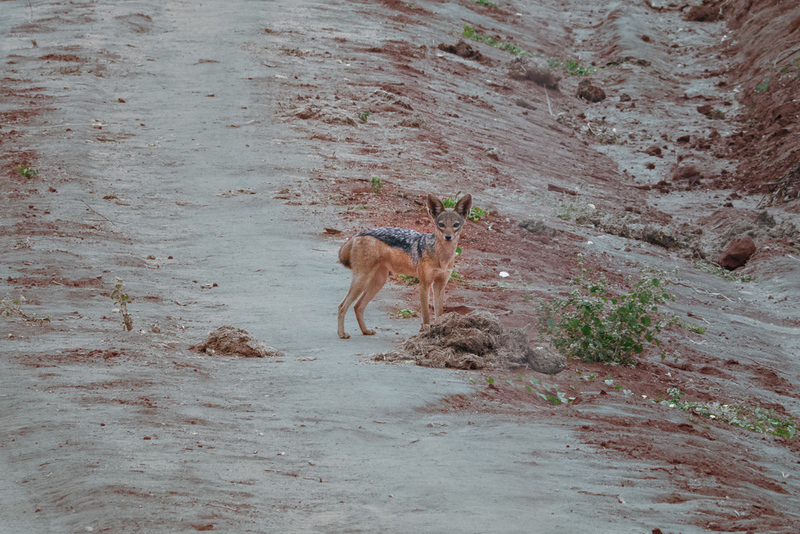 Jackals are small scavengers. They’re quite skittish, so getting pictures of them is challenging. This guy paused for a minute on a road besides some elephant dung before loping off. 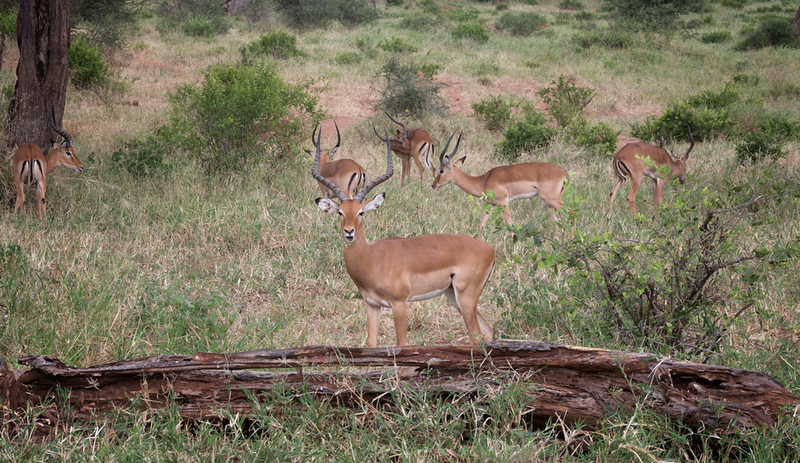 Impala are a common type of antelope found throughout Africa. The coloring on their backside and tails forms the letter M, as you can see with some of the antelope in the background of this photo. The common, if exceptionally poor, joke is that the M stands for McDonalds, as these guys feed many other animals. That’s safari humor for you. Try the fish and please remember to tip your waitstaff. Apparently like many species of mammals in Africa, and the star of one really bad reality show in America, Impala males have harems. That leads to a bunch of single male Impala having to hang out with each other. It’s like working at a software company. Here are a bunch of bachelors. And finally, here’s today’s obligatory Elephant photo. Tomorrow is a travel day.